When people use the terms “child custody” and “child support”, they are most often thought of in the context of a divorce. While it is certainly true that these two issues play a key role in the resolution of any divorce involving the parents of children, many parents are now choosing to remain unmarried. 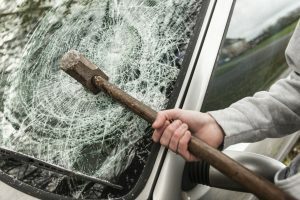 Whether they draft some kind of cohabitation agreement, enter into a civil union, or simply agree to raise a family together, if and when any of these types of non-marital relationships end, child support and child custody can play just as important, and often difficult-to-resolve role as they do during any divorce. So can an unmarried parent secure child custody and visitation, will they be expected to financially support the child through child support, and how can these issues be resolved? Let’s take a look. Before discussing custody and support for unmarried parents, it is important first to understand that these parental rights can only be accorded when a person is legally recognized as a parent. When two adults are married, paternity is automatically granted (in a process known as legal presumption) to the father if the child is born during the marriage, or within 300 days of the marriage ending or the father’s death. However, if the mother and father are not married at the time of the child’s birth, the father will either have to acknowledge his paternity in writing to the state Registar or seek to have his name added as the father on the child’s birth certificate. If neither of these things occur, the father will not actually be legally recognized as a the father without a paternity case being filed for with the courts. In these situations, DNA testing will be done in order to ascertain whether or not the presumed father is in fact, a father. If paternity has not yet been established in your situation, and you are either an unmarried father and are being denied visitation rights with your child or an unmarried mother and being denied child support rights for your child, you will first need to establish paternity before seeking custody or support for your child. Child custody and visitation is decided in New Jersey based on the best interests of the children involved. This is true for any situation involving a custody dispute between two parents, including unmarried parents. While these factors are set, they can be fairly subjective in nature. For this reason, it is particularly important to retain the counsel of an experienced Asbury Park child custody attorney any time you are seeking custody and visitation of your child, or facing a child custody hearing requested by your co-parent. An experienced attorney can help you present your position to the courts, help you understand and comply with the associated legal requirements and processes, and ultimately help you to secure the type of custody and visitation agreement that is fair to you and your child. Child support in New Jersey is largely determined through a strict formula known as the Child Support Guidelines. These guidelines take into account the amount of time each parent spends with the child (based on the existing custody and visitation agreement), their incomes and assets, and the expected expenses of the child. As previously mentioned, child support obligations do not only apply to married mothers and fathers. As long as both parents are legally recognized as parents of a child, child support obligations will apply. Of course, this does not always mean child support will be expected, for example if the parents earn a similar amount of income and share a similar amount of parenting time. If you are an unmarried parent, and are seeking child support for your child or are facing a request for child support, contact our Wall child support lawyers today to discuss your unique situation, needs, and concerns, and ensure that your financial needs are fully and accurately represented to the family court system. 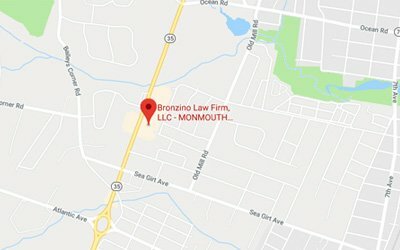 At the Bronzino Law Firm, we have extensive experience helping unmarried parents to secure their parental and financial rights as parents in towns across Ocean and Monmouth County, including Wall, Jackson, Asbury Park, Neptune, Toms River, Point Pleasant, Manasquan, Brick, Sea Girt, and the surrounding communities. 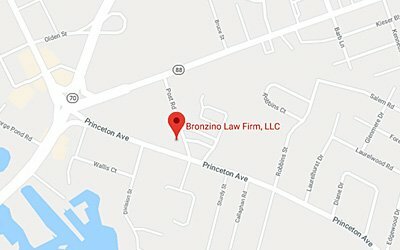 To speak with Attorney Peter J. Bronzino and our legal team today in a free and confidential consultation regarding any kind of child custody, visitation, or child support matter you may be facing as an unmarried parent, and how exactly we can help you to resolve this matter, please contact us online, or through either our Sea Girt office or our Brick office at (732) 812-3102.